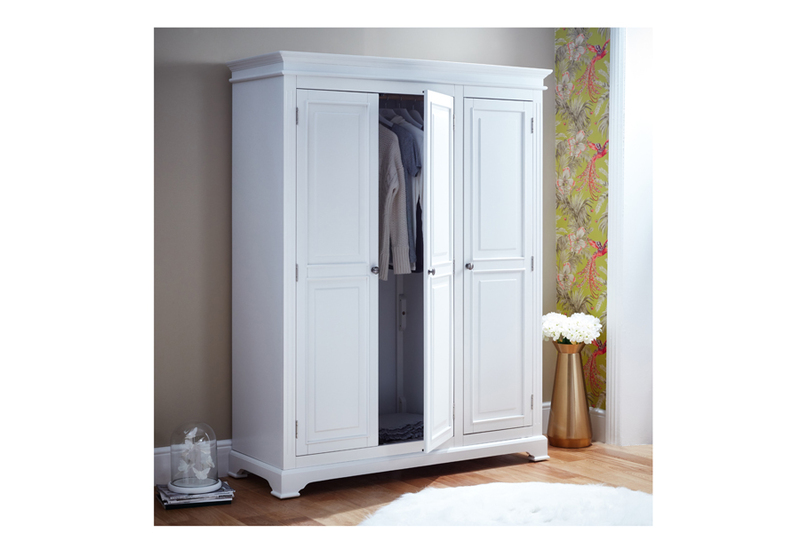 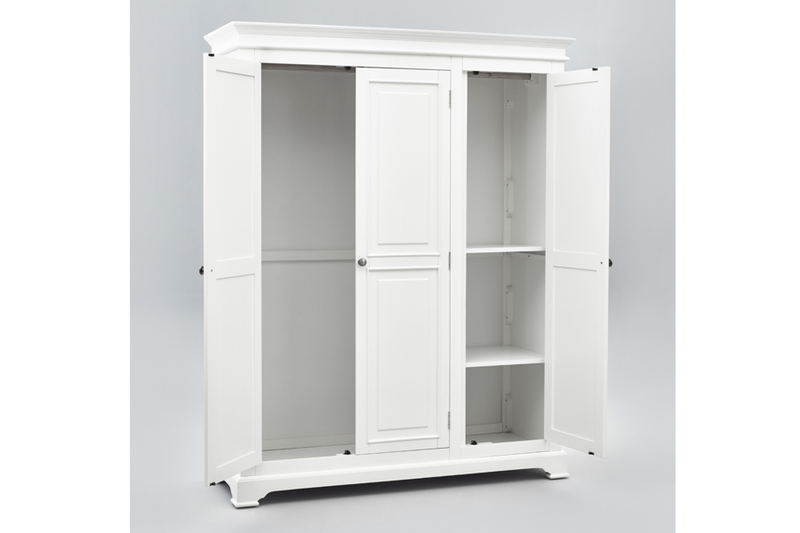 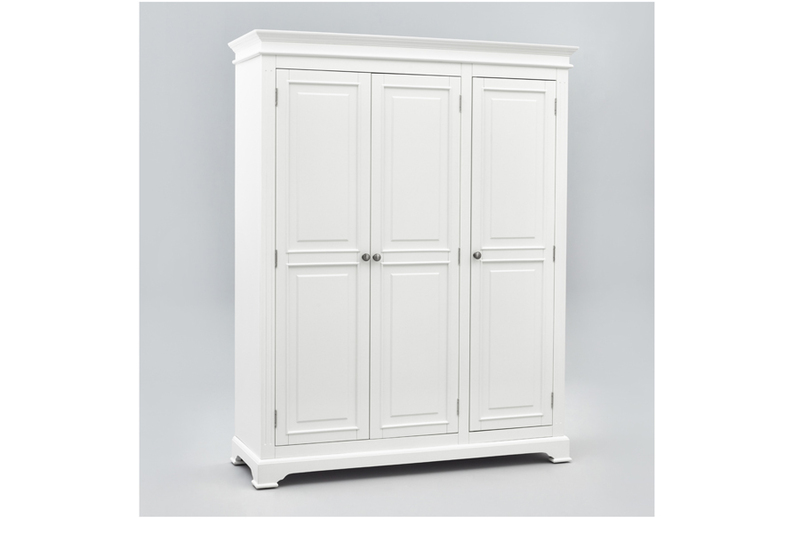 The Grace White Triple Wardrobe is an elegant 3 door wardrobe providing oodles of storage space for your favourite clothes. 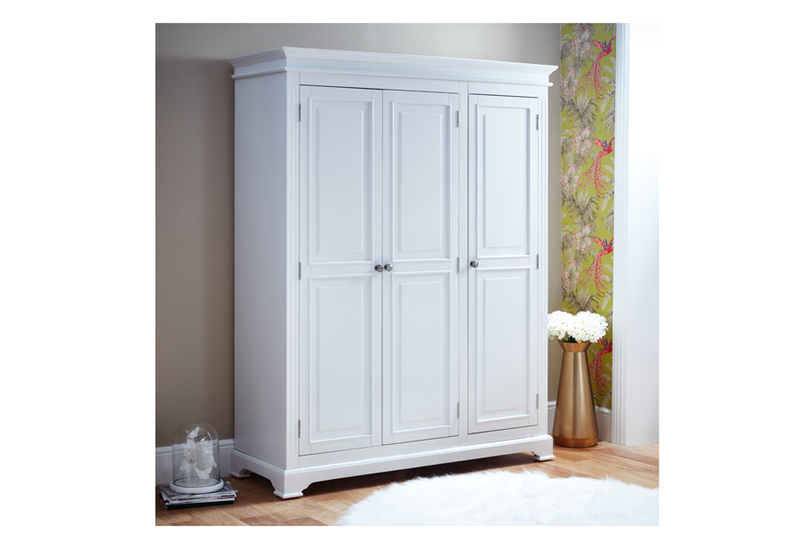 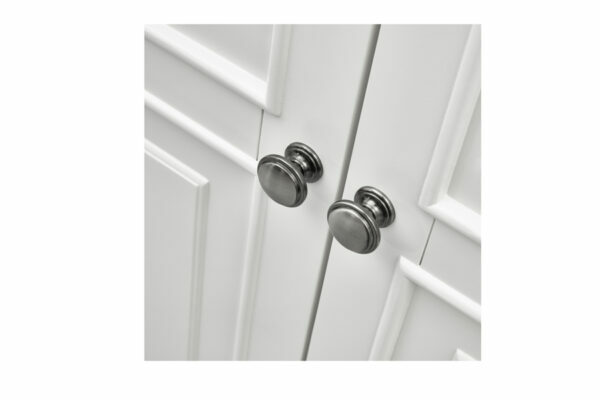 Finished in a painted crisp white with pewter style handles and delicate detailing for added sophistication this wardrobe will add a beautiful touch to your bedroom space. 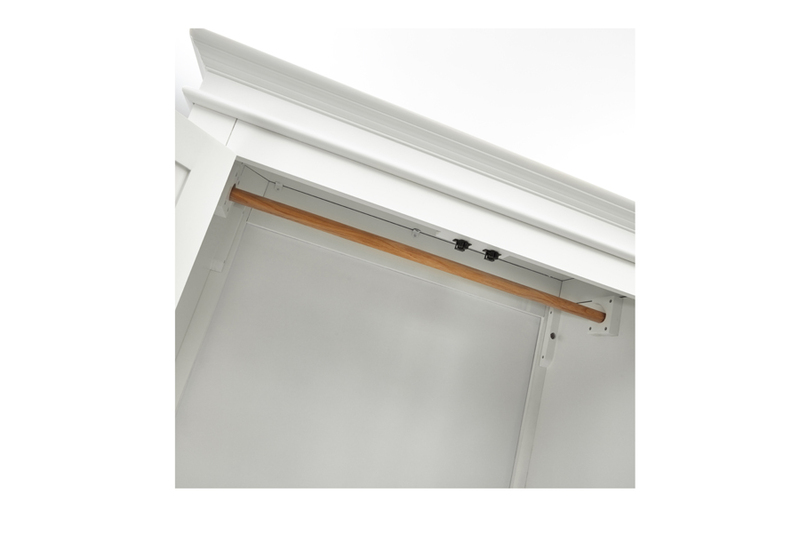 The wardrobe features two hanging rails and three handy shelves. 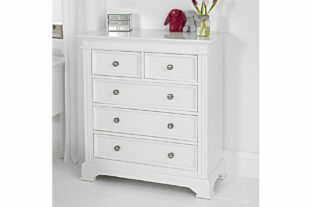 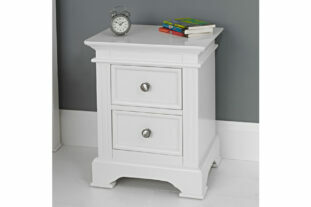 Matching furniture is also available in the Grace range.